Cyber risk is the dark side of the increasingly digital world in which we live our lives. As an industry, financial services has always been on the front line when it comes to cyber attacks. The attraction for cyber criminals and so-called ‘hacktivists’ is clear. Access to customer accounts or payment card details enables straightforward theft of funds, whilst access to customer personal information enables other types of fraud. Disruption of online services creates coverage that can be harnessed by ideologically motivated groups to further their aims. 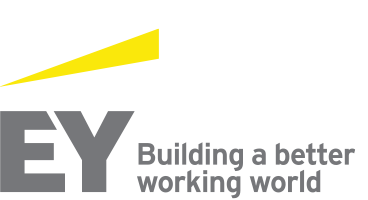 At EY we strive to build a better working world, which means solving big, complex industry issues like cyber security in order to help deliver outcomes that grow, optimize and protect our clients’ businesses. Our global mindset and collaborative culture across our diverse team of cyber security architects, analysts and engineers inspire us to ask better questions about the challenges you face. We then partner with you to co-develop more innovative answers – to activate a foundation that protects the business as it is today, adapt that foundation as both the organization itself and external threats change, and help you anticipate attacks that may be coming. It’s not a crime to be attacked – you cannot avoid being targeted. It’s not even a crime to be breached – persistent, sophisticated attackers can penetrate your defences. However you must be able to recognise an ongoing cyber attack before it disrupts your business or results in a data breach, and you must be prepared to respond swiftly and decisively to protect both your customers and your investors.